My mother and stepdad are downsizing and moving, and that’s led me to inherit some lovely family heirlooms in recent weeks. 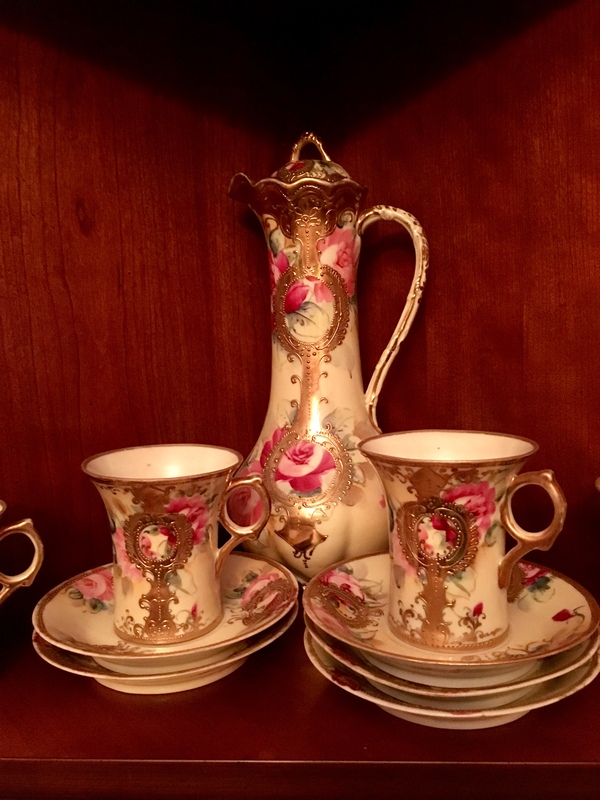 One of my favorites is a beautiful chocolate pot and matching cups and saucers. There’s no markings on it so we can’t tell who made it, but it was a wedding gift to one of my ancestors. 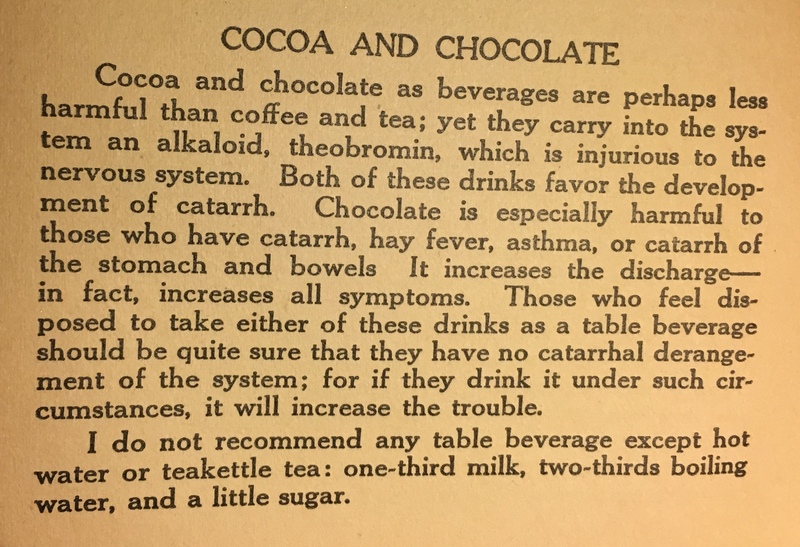 It’s gotten me thinking a lot about chocolate (not hard for me to do) these days, and what it must have been like to host a party where chocolate was served instead of coffee or tea, and what advice around drinking chocolate might have been available. So to the books I went! Here’s a few fun chocolate musings that I found. Languorous ladies love rich thick chocolate. It is almost a meal in itself, as you will find when you count the calories in one cup of this stimulating beverage… Some hostesses combine hot coffee and hot chocolate in equal proportions and serve it at parties. This good combination is called Mexican chocolate. I like thinking of my long-ago relatives being languorous ladies. And finally — how come no one told me there were such a thing as CHOCOLATE SANDWICHES?? Excuse me while I make one quickly and heat up a chocolate beverage before tucking myself in for the evening. One of our rare family treasures os my great-grandmother’s chocolate pot, which looks much like yours. Thanks for the context! Neat! I particularly like the gold on top of the flowers. Seems unrelated in some ways, but is spectacular. Kind of Prince-like!